Some plants are used during the acute phases of bronchitis (like elecampane, cf. Plants & Health # 152). Other great during the chronic phase. This is the case of horehound. It occurs when the person has not reached out to a first bronchitis, his lungs are still crowded, and the mucus dries, can not be expectorated, causing a relapse. It is indicated for the person to be exhausted by the disease, either by age, and can no longer expel pulmonary waste still present. To summarize these virtues antitussive, Dr. Leclerc speaks of a real "sweep" on lung mucosa. The second use of the plant that comes from Provence, is the purifying cure. 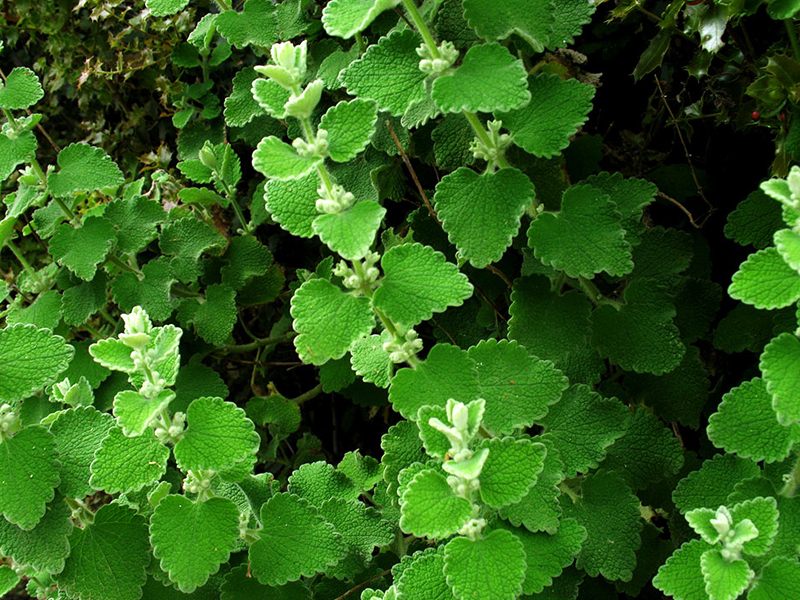 A few decades ago, we took the horehound for a "spring cleaning" of the liver and other organs of elimination. Today, depurative cure can be a logical at any time of year. Take horehound during times when you feel your particular overloaded digestion. And follow the advice of "old", just stick up for an infusion daily for 3 days, followed by a pause of two days, then another decision three days. If you think a spoonful of honey can mask the bitter taste, you are mistaken. However, you will be surprised by adding the juice of half a lemon, much nicer! Grow your horehound from seed because it is not always easy to find in garden. Usually should be slightly scarify the seeds to increase germination rate. To do this, place them between two sheets of glass grained and rub gently in a circular motion for a few seconds. This is just to start the outer layer. Plant tray and bucket transplant once the seedling has few leaves. The seedlings soon become vigorous and may be planted in the ground after a few weeks. In Provence, the plant following the herds, developing in sheep manure. So you would think she loves a rich land. My observations in the garden are all others. I saw him perish under the too generous gardener watering can or struggle along in a land too amended. My strongest marrubes have ressemés on a sandy hill where most plants wither. I suggest to find a poor, sandy area to make it a good drainage, then ignore it once mature. If he likes, he will develop into a big clump of 50-70 cm in diameter. Otherwise it will remain small and compact. Arrived at the end of October, the shaggy horehound needs a haircut. His dry stems go in all directions. Do not hesitate to fall back to two-thirds for the winter, he will leave in the spring. The best time to pick up the horehound is early flowering. These are the leaves and flowers of interest. Cut whole stems, and place them on a rack or flat on a rack, always in the shade and in a dry and well ventilated. You can also dry the bouquet upside down. The flowers tend to break up into small pieces and to cling to the clothes of anyone who sees it. And beware, it stings! They also release small irritating bristles for skin and bronchi. I advise you to manipulate the rods to a minimum. Once dry, put gardening gloves, then take each stem and remove leaves and flowers by pulling the top of the stem to the base. Compost the stems and keep the leaves and flowers in a paper bag in a dry place.